Thanks for hanging in there with me today! We had stuff to do this morning that kept me away from the computer most of the day. And I KNOW you are dying to know who won! So I won't keep you waiting any longer! We ended up with a total of 110 "real" comments. And the lucky winner was #102! Jen, you have 48 hours to contact me at theprincessandthepump@gmail.com to claim your prizes! If you didn't win.... take heart! You can still get BOTH of these incredible prizes! To order your own Diabetes Necklace from Crimson Clover, just visit Tia at her facebook page and you get one of your very own! While you are there, take a look around... Her stuff is AMAZING! So be ready to fall in love with LOTS of cool pieces! I sure did! To order your own Thermal Tote (or any other amazing product) from Thirty One, you can check out my page here. Keep in mind that when you order your incredible Thirty One products from me, 25% is donated to JDRF. The new catalog is now out and there are TONS of beautiful prints and styles! And until the end of February, for every $31 you spend, you get 31% off any item! These make great teacher gifts... and the end of the school year will be here before you know it! 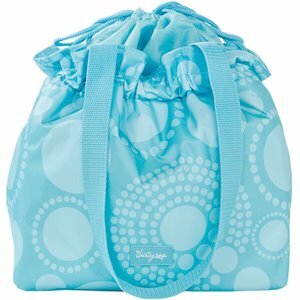 I'm ordering bags for Sweetpea's cheer coaches as their season ends in a few weeks. Who doesn't love bags?!? Also, I'm always willing to do a fundraiser for YOUR walk team or organization! If you raise money for JDRF, DRI, Dr. Faustman... If you do the Walk to Cure or the Ride to Cure or even another event... 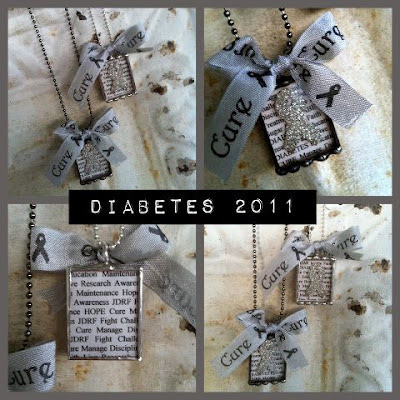 If you are trying to raise money for a diabetic alert dog... As long as the money is going to Diabetes Research, I'm willing to give you my 25% commission! And... Stay tuned! I have a VERY EXCITING giveaway that I'm hosting in March. And trust me... this is going to ROCK! I can't say more right now - just that it will involve TWO of my favorite diabetes retailers who are teaming up in their awesomeness!!! !